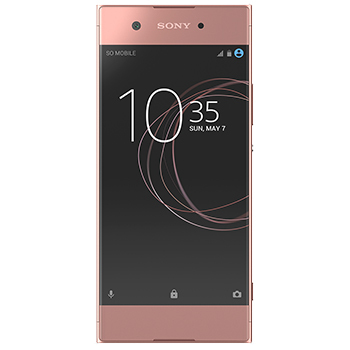 Capture the moment, Sony Xperia XA1 boasts a 23 Megapixel camera with Exmor RS™ for mobile sensor and F2.0 lens. Offering more pixels, more light, the best images thanks to the Super-fast autofocus. 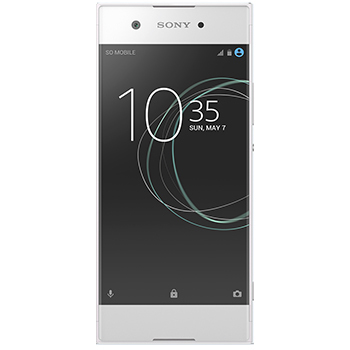 Take the perfect group selfie thanks to the Sony Xperia XA1’s 8 megapixel front selfie camera, with a 23mm wide-angle lens that lets you fit all of friends into the frame. The smooth, rounded form of the XA1 leaves barely visible frame so you can enjoy the beauty on screen. Xperia XA1 sits comfortably in your hand, whilst the headphone jack and USB Type-C port ensure you stay charged and connected on the go. A power-efficient MediaTek Helio P20 Octa Core 64bit (Quad core 2.3GHz + Quad core 1.6GHz) processor, you get a quicker and smoother user experience, whether you browse the web, watch a video or play your favourite game. Everything in super-fast 4G ensures you stay connected. Smart Cleaner automatically deactivates the apps you don’t use and clears the cache, to optimise storage and memory. A full-width 5” display, with curved glass and 720p, Image Enhance Technology offers bright and beautiful viewing experience. 3GB RAM and 32GB eMMC internal memory delivers a speedy experience ad enough storage for all of your data needs.